The world of the microSD card is one that has seen prices fall dramatically, and long may that continue. 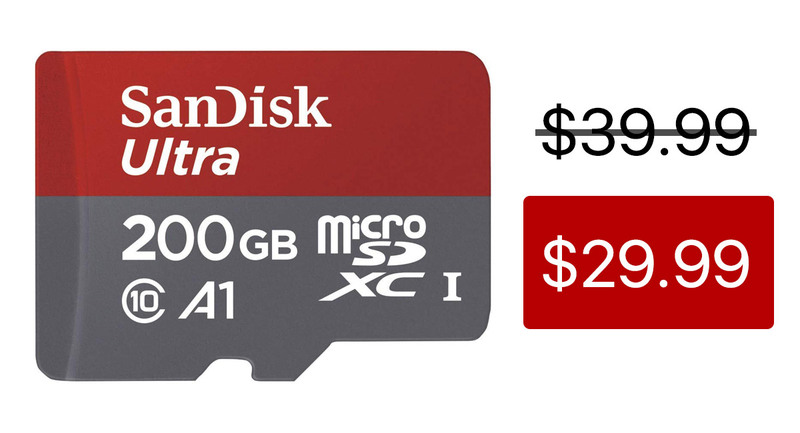 If you’d suggested not too long about that there was a chance of picking up a 200GB microSD card for less than $30, we don’t think we would have believed you. But here we are, and it’s a bargain. 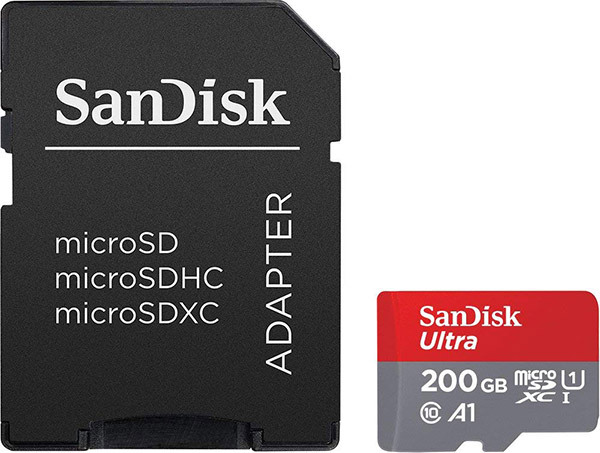 The card in question is the SanDisk Ultra 200GB card, and it even comes with an adapter for those times that you need to put it into something that only supports the standard, larger SD card format. Whether it’s in the larger adapter or not, you’ll get read speeds of anything up to 100MB/s, and thanks to its Class 10 and A1 ratings, you’re going to have no problems recording full HD 1080p video, if that’s your game. Speaking of games, this card will be more than sufficient for use when storing apps and games on a phone, too. This being a microSD card, it’s also shockproof, temperature-proof, waterproof, and X-ray-proof. That means that no matter where you take this thing, or how rough you are with it, you’re unlikely to have too many problems with data loss and such. That’s great news if you’re relying on these cards for work or simply want to make sure that you keep vital photos of your kids safe over time. We’ve long been big fans of SanDisk storage options, and the company’s microSD cards are absolutely no different. Pick one up today if you could make use of an extra 200GB or so.